For registrations received by May 15, 2019. Please read our Policies and Guidelines BEFORE submitting registration. Registration is not complete until payment is made via PayPal. A family is defined as parents and their children living in the same household. Please do not combine families to get this discount. Grandparents that accompany the family are admitted FREE! Sorry, No Refunds. An adult is an individual who is 18 years of age or older. Individuals who are 18 and over, but attending with their family, are welcome to register as part of the Family Registration. Grandparents that accompany their family are admitted FREE! Sorry, No Refunds. Children 3-18 years old attending with a parent or other responsible adult. Children under age 3 are FREE! Sorry, No Refunds. This registration is for unschooling teens under the age of 18 who wish to attend without a parent or guardian. A 2019 Independent Youth Release form signed by a parent or legal guardian must be submitted before registration will be accepted. 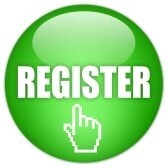 Independent Youth MUST pre-register. No walk-ins. Please read our Policies and Guidelines BEFORE submitting registration. Registration is not complete until payment is made via PayPal. Registration for families that have been pre-approved for a 2019 Scholarship only. Please read our Policies and Guidelines BEFORE submitting registration. The $50 registration fee will be fully refunded after completion of agreed upon volunteer hours. If you would like to apply for a scholarship, please go here for more information. This registration is for Young Adult unschoolers, ages 19-26. In exchange for this deep discount, we ask for 4 hours of volunteer staff time (or 2 hours plus hosting a funshop or discussion). We’ll be in touch after you register with specifics on volunteering.